Can You Trust Digital Medical Records? Home Healthcare Can You Trust Digital Medical Records? In today’s digital world, companies everywhere are making the switch from traditional paper and pen documentation and hard copy files to more digital innovations, such as using computers, using apps, and only having electronic copies. One industry that is rapidly making the switch from paper hard copy to digital is the medical industry. Doctors, nurses and even health insurance professionals are using digital medical records instead of individual hard copies on every single patient. Digital medical records come with a variety of benefits. They’re easier to update, they’re easier to store, and they provide instantaneous access to a patient’s medical history no matter where they are or which doctor they are seeing. But although there are a variety of benefits to digital medical records, many people often wonder if digital medical records can be trusted. After all, with hackers making their way into everyone’s private computers and accounts, it’s only a matter of time before your digital medical records become public knowledge, right? It honestly depends, both on the portal being used at your doctor’s office as well as your own personal use of your digital medical records. 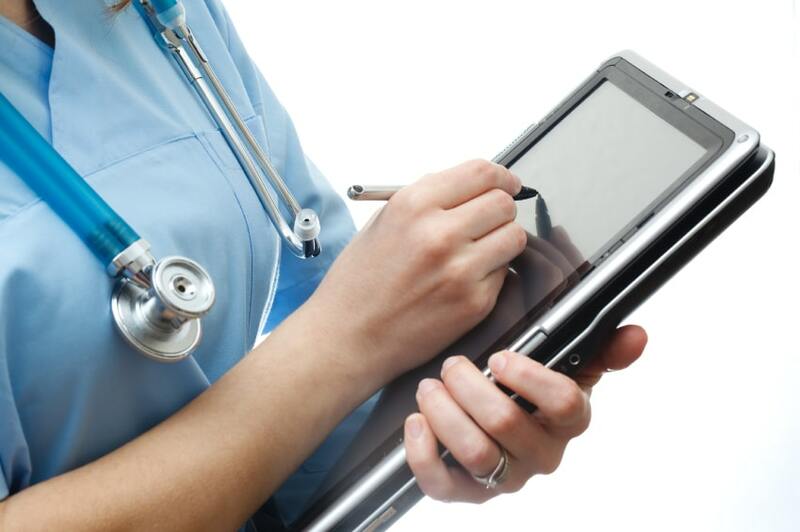 The following are three ways to ensure you can trust digital medical records. Every doctor’s office has a portal they use to create, update, and maintain digital medical records. If you doctor has ditched paper for computers, be sure to talk with them about their portal. Ask questions about the provider and what steps your doctor is using to protect these records from being hacked or penetrated by an outside party. For example, ask your doctor what security metrics they are using to ensure the information in your file never falls into the wrong hands, such as firewalls, encryption software, etc. And if you don’t like what your doctor has to say about their use of digital medical records, ask him what he is willing to do to make you more comfortable, or consider changing providers. Oftentimes you will be able to access certain aspects of your medical history through an online portal. For example, your doctor may give you access to your digital medical records through their portal, or you may have access to your medical insurance via the company’s website. No matter how you can digitally access your information, be sure to create strong usernames and passwords for all of your accounts, and don’t store passwords and usernames on your computer. If you truly want to protect your privacy, be sure to use a computer that only you can access. Don’t sign into your medical accounts from a shared computer at a library, and don’t access this information through a computer at work. You also want to make sure that you only access the info using a private Internet connection. Signing onto your accounts through public WiFi also puts you at risk. If your private information is stored on public computers, it makes it easier for this information to fall into the wrong hands. As long as you and your doctor are taking the necessary precautions to keep your medical information safe, you will find that digital medical records are more of a convenience than a nightmare. How You Should Learn to Use Your Health Insurance?